We provide a full range of services including Long Acting Reversible Contraception such as coils and implants. The practice can provide you with advice about avoiding sexually transmitted diseases, and with Chlamydia Screening. We provide comprehensive maternity care, co-ordinated by our community midwives with support from your GP, and when appropriate, a hospital specialist. Your midwife will also advise you about post-natal support. Our community nurses run a continence clinic at the practice. If you suffer from urinary incontinence please speak to your doctor who will refer you to the clinic. If you suffer from long term conditions such as diabetes, heart disease, stroke, lung disease such as asthma or COPD, or Hypertension, our doctors and nurses will be involved in monitoring your illness. You will be invited to attend the surgery for a check-up once a year, usually during the month of your birthday. Our HCA's are qualified to carry out procedures such as taking blood, ECGs, smoking cessation advice, new patient checks, blood pressure monitoring, and flu vaccinations. Clinics for Blood Tests are available Monday - Friday each morning. 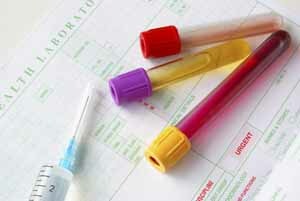 INR Tests are not available on Friday mornings. Flu clinics are held usually from October to December. If you suffer from a long-term illness such as those mentioned on this page, you will be entitled to have these vaccinations free of charge. The practice provides a limited medical foreign travel service, including advice, equipment and some vaccinations. If you are travelling abroad, please ask at reception for a questionnaire to submit to the practice nurse in advance of your appointment, or check out the Foreign Travel link on this website. Please allow plenty of time, before you travel, for the necessary treatment, as it may not be possible at short notice to develop the protection or immunity you’ll need. The practice will be inviting in all patients who are between the ages of 40 and 74 for a health check. This will involve taking blood pressure readings, weight and height (BMI), a blood test to check your cholesterol level, and carrying out a cardio-vascular risk assessment. Lifestyle advice will be given to help you to stay healthy for longer, and to prevent heart disease, stroke, diabetes, and kidney disease. It is expected to take up to five years to complete the first cycle, so please be patient while awaiting your turn. You will then be invited back every five years to monitor your health until you reach the age of 74. Please telephone 01949 20216 after 2.00pm as the telephones are usually quieter after this time and we will have received reports from the laboratory for that day.